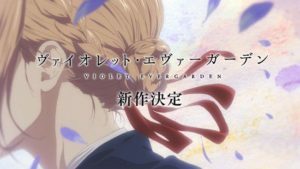 Netflix started streaming Violet Evergarden on April 5th this year. The manga was written by Kana Akatsuki and illustrated by Akiko Takase and won Kyoto’s Animation Award grand prize for the Novel category in 2014. The anime ran from January 11th to April 5th 2018 in Japan and is 13 episodes long. If you were lucky enough to be at Anime Expo last year, you may remember the buzz around them screening the first episode. They were one of 3 conventions that were able to do so. 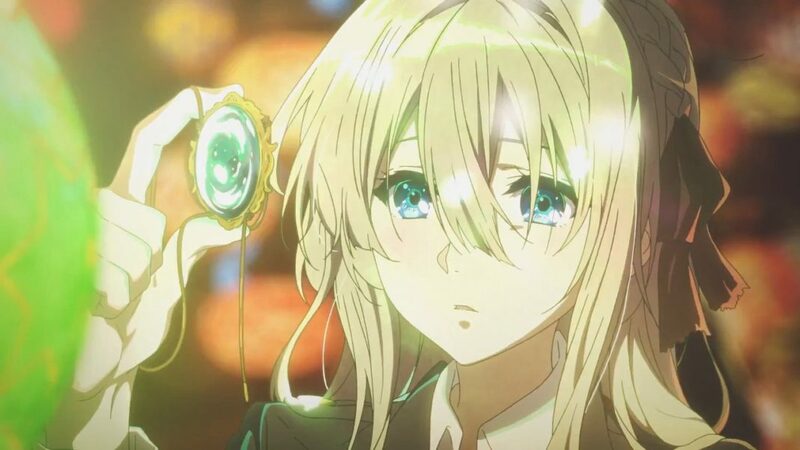 Like many other anime, the main character in this series, Violet Evergarden, is age 14. She was found on the streets, is an orphan, and was later given to Major Gilbert as a tool to be used in the war. Now that the war has passed, she is on a journey to figure out exactly what Gilbert meant when he told her “I love you”. In order for Violet to understand, she takes on the role of learning to become an “Auto Memories Doll”. An Auto Memories Doll is a writer that is supposed to take a persons words and the meaning behind them and turn it into an emotional and heartfelt letter. This anime is gorgeously done and Kyoto Animation did an excellent job with the aesthetics. The music is awe inspiring and all of the scenery is just so beautiful. Every episode is filled with a heartfelt story of people trying to connect with each other, sometimes even trying to reconnect with themselves. 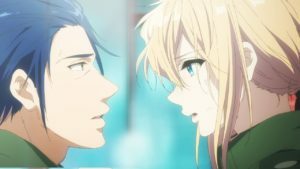 The show is has pretty mellow acting from Violet, but she is also the one that is trying to understand her feelings, so that’s to be expected. She makes many friends along the way at the company she works for, as well as outside of it and starts to become more and more requested to write letters for people as their Doll. There is a lot of death in this though nothing leaves you with a sense of loss, only a sense of closure. I would say if you are sensitive, even a little, you should be prepared with a roll of toilet paper or a box of tissues. There were a few episodes where you just need to cry. Ann’s story was particularly hard to watch. The characters are so relatable it’s hard not to become empathetic towards them. Ann’s story was really sad. You will want tissues. There are many war scenes in this so I would say if you have a guy or a girl that is into the more battle specific anime that they would be able to watch this with you. 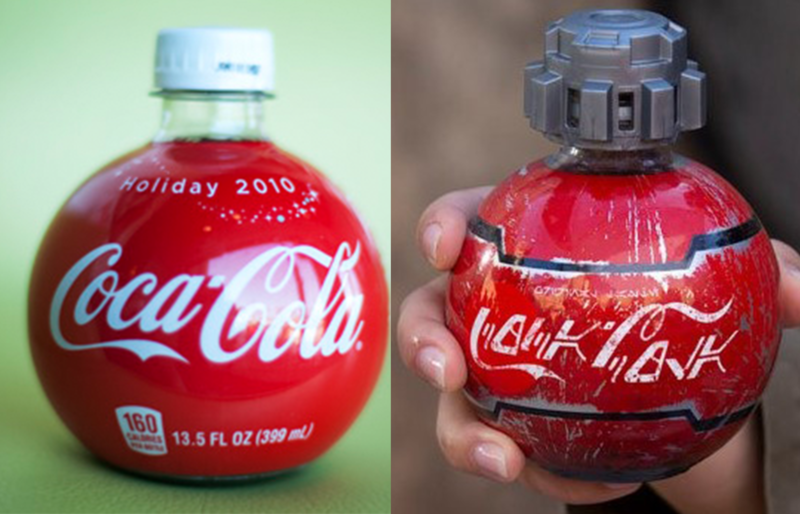 You will both get something out of it. 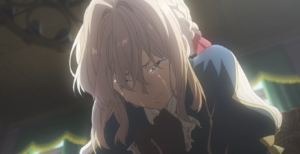 Violet Evergarden primarily deals with love and finding out what that means, however she is also coming to terms with her past as a soldier of war. Having the post war storyline adds a lot to this show. The turmoil that she is in because of all the lives she took and her being able to move on in the best way she can. The story development for each character can leave you a little wanting. While we get an amazing backstory and watch Violet develop, her co-workers at the Auto Memories Doll company are only really touched upon. You only get one episode of backstory for each of them, minus Hodgins, who was Gilbert’s superior in the war. I would have liked to see more of what their lives were like when the war was going on. It amps up near the end and the last few episodes are intense. The ending was so strong for this I can’t even begin to do it justice with my words. Violet is such a strong character throughout this entire series and watching her blossom into who she becomes is heart warming and fulfilling. 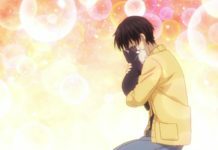 The last scene in the show tells us that a new project has been confirmed and the shows Twitter went on to specify that it will be completely original, meaning it will not be based on the Manga. The studio is famous for taking the source material and expanding it and they have done it well in the past so I am really excited for this. My hopes are that Violet moves on and truly gets to experience love. 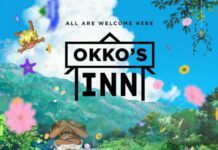 If you like Say I Love You, Toradora, Gosick, Recovery of an MMO Junkie or any other love centric anime, this is the next thing you should put on your list. Let me know what you think of the show in the comments! HEY NERDBOT READERS! Have you heard? 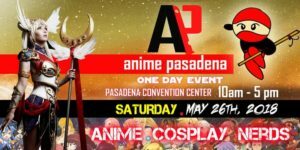 NerdBot is putting on a super cool Anime Convention May 26th, ANIME PASADENA! It’s going to be LIT! Hope to see you there!